Chamberlain Fire Department, Police Department and Brule County Sheriff’s office come together to help encourage blood donations in the community by holding a two day blood drive competition. The two day blood drive event takes place on Monday, April 22 from 10:00 am to 12:30 pm and 2:00 pm to 6:00 pm at Chamberlain Fire Station and Tuesday, April 23 from 7:30 am to 11:10 am and 12:40 pm to 3:30 pm at Chamberlain High School. All blood donations will stay local for local use. All who donate will receive a thank you t-shirt. The friendly competition between the departments will support the spring blood supply for Sanford Chamberlain. The public is encouraged to come in, donate blood and designate their donation to the department of their choice. The department credited with the most blood donations will receive a trophy and bragging rights for a year. 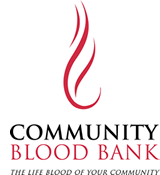 Community Blood Bank supplies over 550 units of blood each week to people in the region. Among those who benefit from donated blood are trauma and burn victims, cancer patients and persons undergoing surgery. Donating blood is a simple way to save patients’ lives in the community. Without volunteer blood donors donating blood throughout the summer, it becomes increasingly difficult to maintain an adequate supply of blood for community hospitals. “Blood usage has been outpacing collection for the last part of the winter into the spring season, which has placed supplies at critical levels many times,” states Ken Versteeg, Executive Director, Community Blood Bank. “We have experienced an unusually high usage and hope to keep the blood supply at adequate levels by community members supporting their local heroes and local blood supply. Donors must be at least 17 years old (16 years old with a signed parent consent form), weigh 110 lbs or more and be in good general health. It is recommended that a person eat and drink plenty of fluids prior to donating blood. Please bring an ID with you at the time of donation. For more information log onto www.cbblifeblood.org, call Community Blood Bank at 1-877-877-3070 or call Karon Bishop, Sanford Chamberlain Auxiliary at 605-730-1128.